Q-pot. released their first 1 brand only mook. 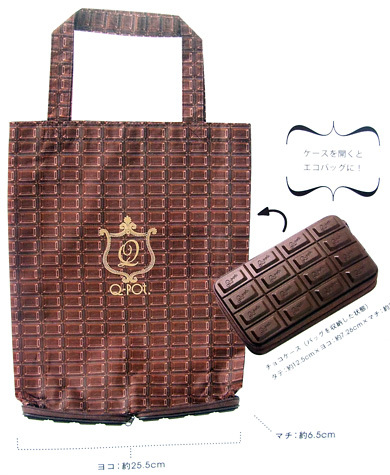 Of course they attached freebie… fold-up bag.We can enjoy taking out non edible chocolate. The designer produced Paris exhibition and opened a shop in Hong Kong. Now Q-pot. becoming world wide famous! I am glad you talked about this mook. 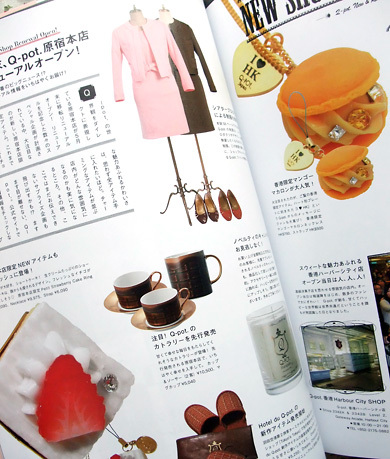 I have the q-pot necklace from Paris and now, I ordered this mook at my japanese bookstore here! I bought the book too! XD I was about to leave Kinokuniya when I spotted it. i bought the book too but i bought 2 of them hahahh… just because i want to spare the bag. 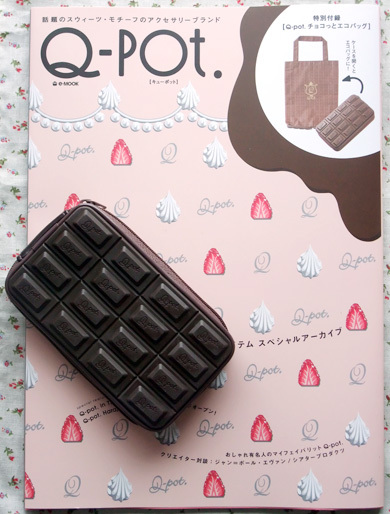 It was really worth to buy this book coz’ i got a very interesting book and the perfectly cute bags at the same time.